This .49 -.61 size engine mount from SLEC is produced from highly durable glass filled nylon. 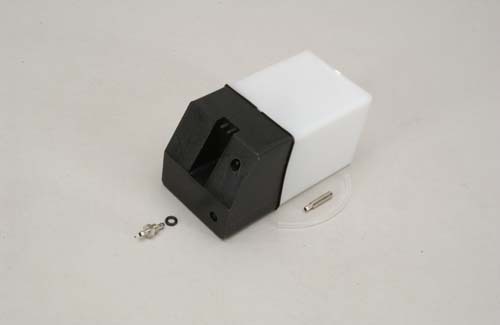 Features a round design bulkhead mount that is particularly suitable for use in tight cowled installations.This .09 size engine mount from SLEC is produced from highly durable glass filled nylon. Features a round design bulkhead mount that is particularly suitable for use in tight cowled installations. This .049 size engine mount from SLEC is produced from highly durable glass filled nylon. Features a round design bulkhead mount that is particularly suitable for use in tight cowled installations. This .61 - .80 size engine mount from SLEC is produced from highly durable glass filled nylon. 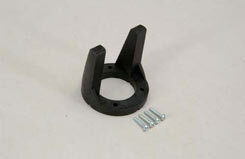 Features a round design bulkhead mount that is particularly useful in tight cowled installations. 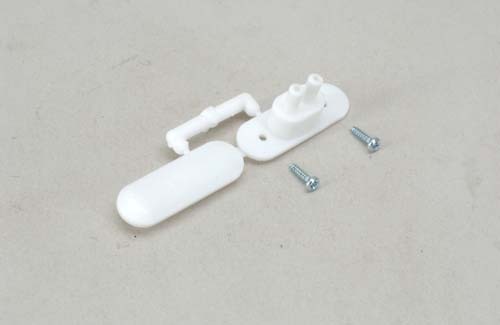 Moulded from tough and economic nylon this unobtrusive gadget with integral cover plate will tidy up the fuel filling area on most kinds of model. This 4oz tank comes from a range very popular with U.K modellers. The 'square' design makes for a very short, easily installed tank. 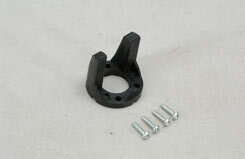 Moulded from a tough rigid plastic. Features an optional fuel level gauge facility. 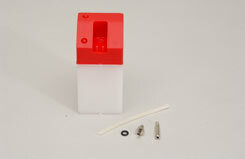 For glow fuel, or petrol/diesel if you replace the silicone tubing. This 6oz tank comes from a range very popular with U.K modellers. The 'square' design makes for a very short, easily installed tank. Moulded from a tough rigid plastic. Features an optional fuel level gauge facility. 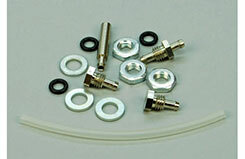 For glow fuel, or petrol/diesel if you replace the silicone tubing. 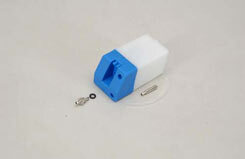 This 9oz tank comes from a range very popular with U.K modellers. The 'square' design makes for a very short, easily installed tank. Moulded from a tough rigid plastic. Features an optional fuel level gauge facility. For glow fuel, or petrol/diesel if you replace the silicone tubing. 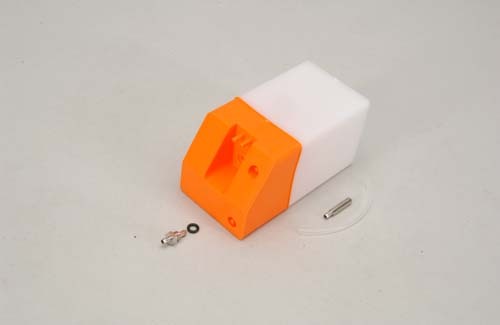 This 14oz tank comes from a range very popular with U.K modellers. The 'square' design makes for a very short, easily installed tank. Moulded from a tough rigid plastic. Features an optional fuel level gauge facility. 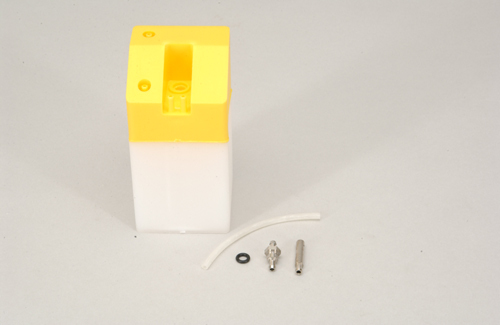 For glow fuel, or petrol/diesel if you replace the silicone tubing. 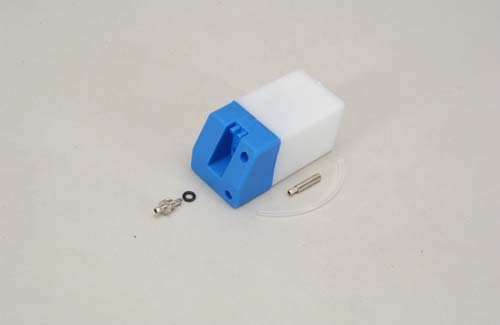 This 11oz tank comes from a range very popular with U.K modellers. The 'Square' design makes for a very short, easily installed tank. Moulded from a tough rigid plastic. Features an optional fuel level gauge facility. For glow fuel, or petrol/diesel if you replace the silicone tubing.